By Fahad Khan in Social Media. Updated on February 28, 2016 . YouTube has always been a great source for entertainment. We love the plentiful web design lessons we can find on the video-sharing site, as well as the 20 best YouTube tech channels to subscribe to. And when things get tough and stressful at work, here are 40 Youtube channels you can unwind with during the weekends. This post however is on a few tricks you can use on YouTube, for instance, did you know that you can make GIF files from any YouTube videos with just a few clicks? You might like that trick and a few others that are great not only for video lovers but also for video makers. For more tricks, check out the two earlier posts we have on YouTube tricks (Part 1, Part 2) as well as this post on keyboard shortcuts you can use on YouTube. YouTube allows the addition of a logo of watermark of a brand for your channel, company or organization in your YouTube videos. Sign in to your YouTube account and click on the Creator Studio button. 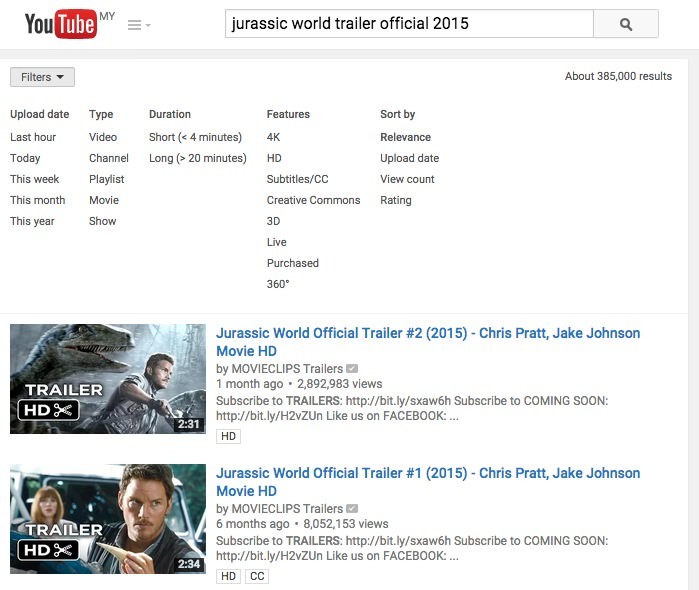 Click on CHANNEL > Branding > Add a watermark > Choose File Button > Save > Update. Then, you can define the Display time for the watermark or logo to be displayed on your video. You need to only do this once and the watermark will appear in all of your uploaded videos. What if you can view videos of concerts and sport matches from a variety of angles? You can watch your favorite artists perform their act from the side of the stage, from upfront, from above or real upclose. YouTube is now testing this feature and will make it available soon to the users uploading videos that can take advantage of multiviews. 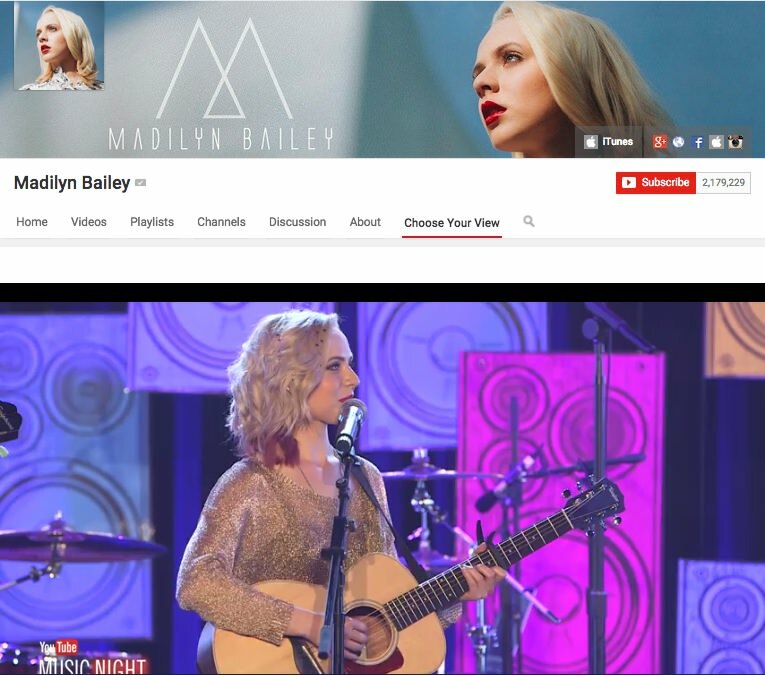 Here’s a sample of what you can expect from this cool feature, courtesy of Madilyn Bailey. 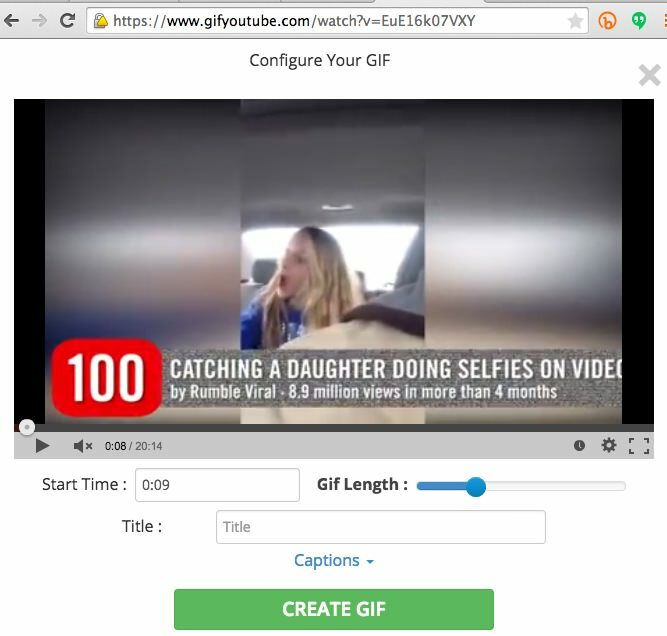 Bet you didn’t know that you could turn a portion of a YouTube video into a GIF file. Here’s how. Here’s an example of a video I want to create a GIF from. All I have to do is add the word “gif” before the word “YouTube”.This will take me to a third party service where I can pick the starting time, length of GIF, title and caption to use for the GIF file I want to create. Alternatively, just go to the gifyoutube site, then paste a link to the Youtube video you want to give the GIF treatment to. Customize the section you want to be taken out, then click CREATE GIF to get your file. 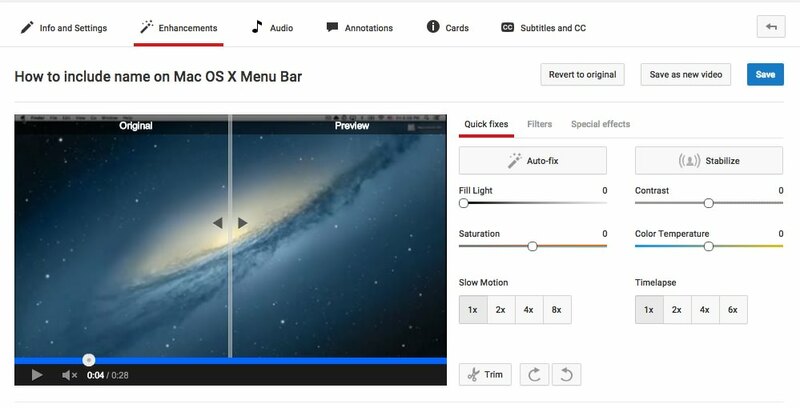 Here’s a feature that introduce some interactivity in your YouTube videos. It’s called Cards. Cards can be displayed on your videos for multiple purposes including to link to another video or even a playlist that the viewer might like. Alternatively, you can also add a related website as a card to the video. 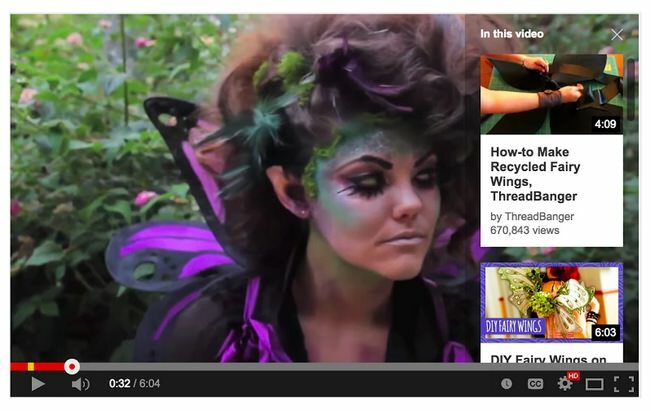 To add a card to your YouTube video, Sign in and select a video that is already uploaded. When you find the video, look for the Cards button below the video (see screenshot). Then, choose from any of the 6 types of cards available. On top of the recommended video, playlist and relevant website cards, you can also put in cards for fundraising, merchandise and fan funding purposes. Read more about them here. Note: Not all videos can get this feature inserted – only videos that are in “good standing“, which means no copyright strikes or community guidelines strikes, and you shouldn’t have had a global content ID block on any of your uploaded videos. Deleting videos that were affected will not help improve your standings. If video has subtitles or closed captions already, click on More > Transcript or CC menu in the player > Language > Add Subtitles/CC. 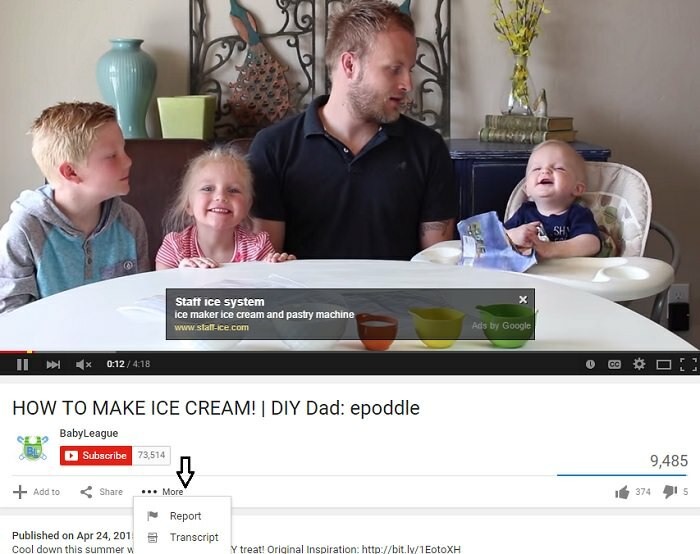 If video does not have subtitles or closed captions then click on More > Transcript > Add Subtitles / CC. Once subtitles are submitted and approved then the pre-existing subtitles will be overwritten. 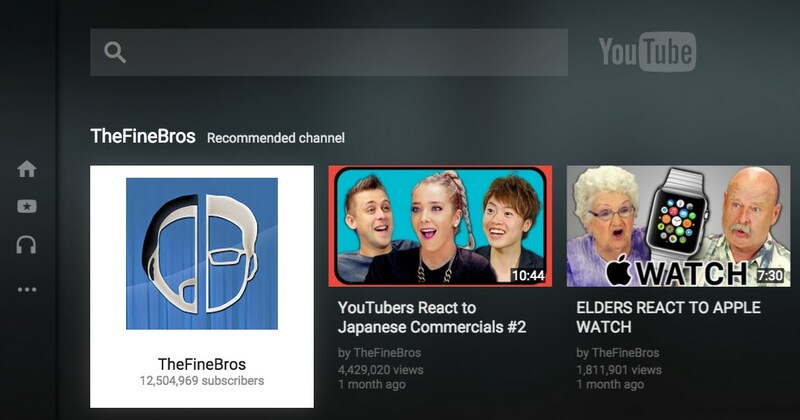 YouTube TV is an interface for viewers who prefer to watch YouTube videos on their television, with popcorn, on a nice comfy couch. What’s not to like? The problem with watching YouTube on a TV is that you can’t use a mouse to do your clicking. Instead, it’s the video arcade era “letter-by-letter” shift that you have to deliver via keyboard. Ain’t nobody got time for that! Pair your smartphone with your smart TV with this interface then use your smartphone to do all your video choosing and pausing and more. Do you know that in YouTube, there are many advance search and filtering options that may be handy to get the exact video you are looking for? When you search for a query, and you click on any of the suggestions, you will arrive at a list of returned results. At the top left there is a Filters button. Click it to unveil a list of search options. You can filter your search by Upload date, Type, Duration, Features or Sort by depending upon the requirements. If you directly want to search a video with some specific filtering criteria then you can do it easily by separating the search phrase and filtering criteria using a comma ( , ). For example, you want to search a video on computer basics with duration less than 4 minutes then type in: basics of computer, Duration, Short and hit the search button. So you found a video you want to embed in your blog but you don’t want to embed the whole thing, just the part you find interesting, funny, or worth sharing, what do you do? 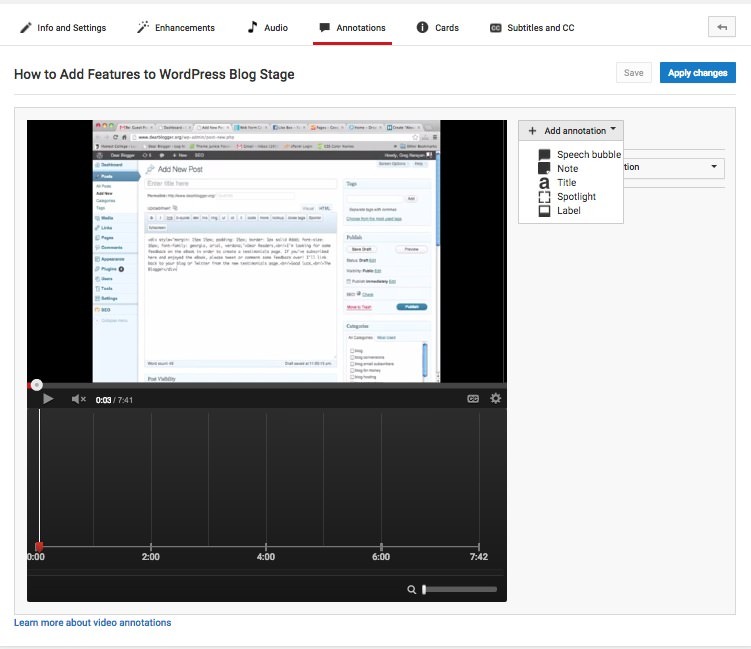 You can actually embed a portion of the video with a specific start & stop time. Click on Share > Embed and right at the end of YouTube video link insert ?start=ss&end=ss, where ss represents seconds, start = ss means start time in seconds, end = ss means end time in seconds. Replace the “ss” with the time in seconds, from the start of the video, e.g. start=11 indicates 0:11 as the starting time for the video. Here’s how to share only the portion that starts from the 11th second and ends at the 20th second. 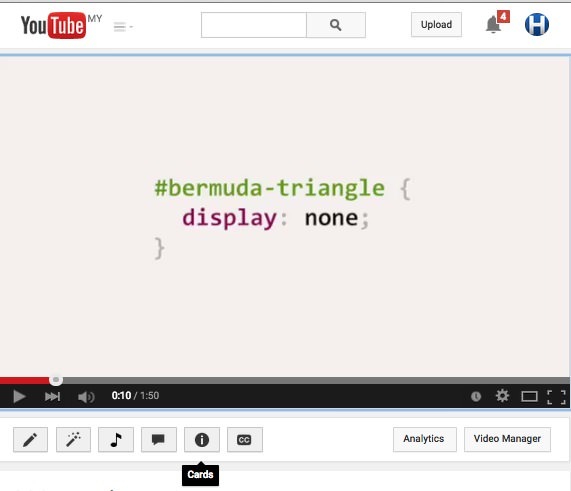 You can also set the resolution of the video to be shown, in your embedded link. Go to the video you want to share. 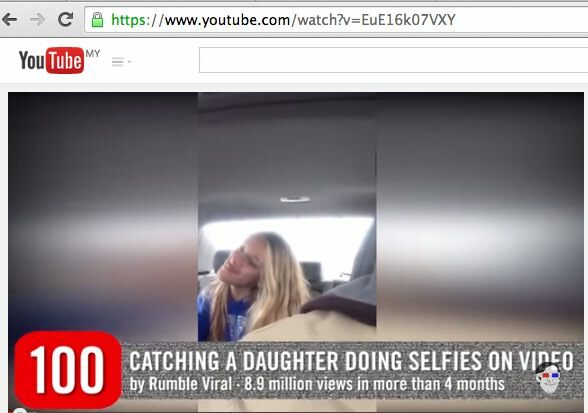 Locate the Share > Embed option below the video. Click SHOW MORE to see a preview of your video. 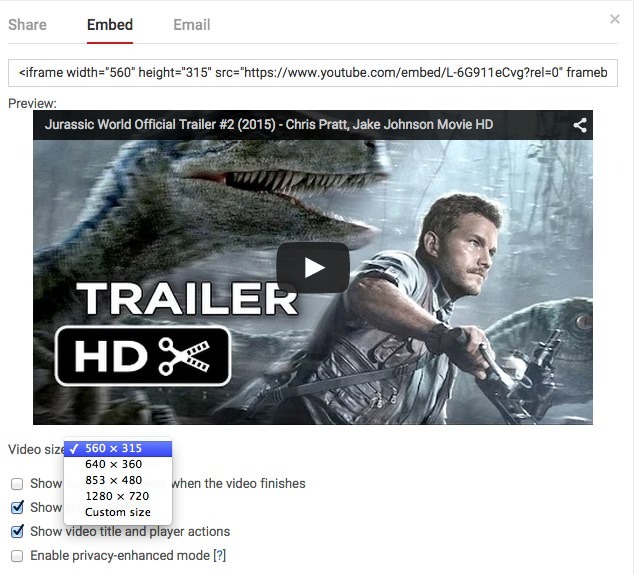 Under the video, is the option to choose the Video size you want to embed. There are other options there that you can tinker with including showing other recommended videos at the end of your embedded video and more. Grab the embed link once you have made your choices. To add a subscription link, login to YouTube account, go to your Video Manager and click Edit on any of your uploaded videos. Head over to the Annotations section. Select the font size and color, then specify the start and end time to show this subscription link. Click on Link check box, select Subscribe and enter your YouTube user name. You can also specify whether to open subscription link in new tab or not. Once you are done with all configurations for your subscription link then click on Save > Apply changes. If you prefer the use of a button for your CTA, then you can upload a Subscribe button image as your watermark, using tip #1. If you want to replace the original playback audio of your YouTube video with some other audio file, go to select an uploaded video and choose Audio. 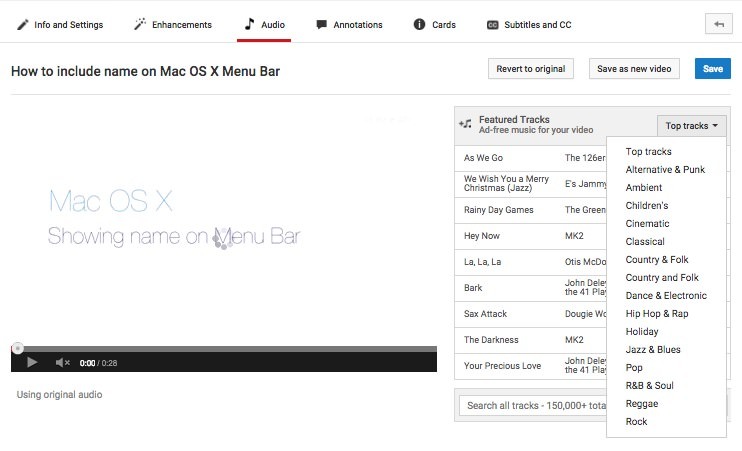 To the right of the video, there are playback tracks to choose from in multiple categories. Choose a track, then click on Save as new video. You can also discard changes, by clicking on Revert to Original. The Quick fixes to auto-fix problems in your video, stabilize shaking footage, change the speed or timelapse of your video, trim and rotate your video. You can also apply a color filter on your video under the Filters option. Lastly, if you would like to blur faces in your video, go to the Special effects section. You can see the original and a preview of the changes you chose in a side-by-side comparison before saving your enhancements. Additionally, you can combine multiple clips to publish a new supercut video from all your uploaded clips, by clicking the YouTube Video Editor.